Children are naturally curious explorers, they are always in search of any new thing that can make them joyous. Learning is all about reaching your full potential and helping you to achieve self-actualization. What can be the best way of learning rather than education. However traditional learning, which is in a classroom, has a beginning and an unusual end which culminates in the form of examination. Lifelong learning basically requires knowledge of students outside the formal learning in a classroom. Developing a positive attitude to motivate oneself towards learning is not an easy task, but with the change in education system, one can take an advantage of the latest technology to develop oneself for lifelong learning. Reading habits can enhance the knowledge of an individual to a great extent. Reading Newspapers, Magazines, online reading can be beneficial for students to be updated with the latest information. It is quite important for students to build up confidence for what they’ve learned that can bring up excellence in their field. A curious mind always tends to learn more, thus being curious can be a plus point to our learning. It helps to acquire more of knowledge with full potential. 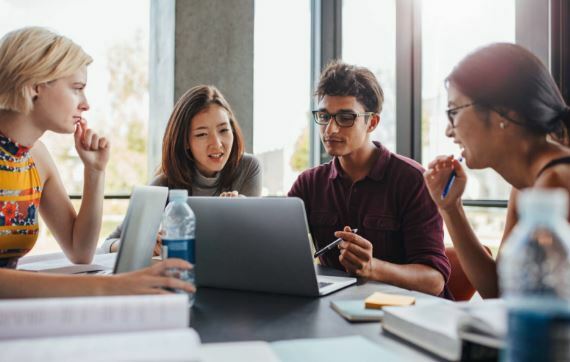 For example, if one is curious to know about vectors, this would lead him to learn the in-depth knowledge of the topic, such as real-life application in more details. A person is mainly influenced by the company in which he lives. Sometimes a company of scholarly person will influence a normal person to boost their skills to reach their maximum capacity. Thus talking and learning with those people also helps to acquire knowledge. Everyone has different interest and level of understanding of different topics. Group studies thus can help to learn more along with diverse alternatives as more than one mind is working together. Thus, different experts can provide a better understanding and interest amongst everyone. The growth of technology has also helped the students to indulge towards learning. The major revolution brought by technological learning is that it has made the boring class lectures to interactive and interesting lectures. One can easily understand the in-depth concepts easily. Also, one can be easily motivated and engage in learning with a curious mind of learning. 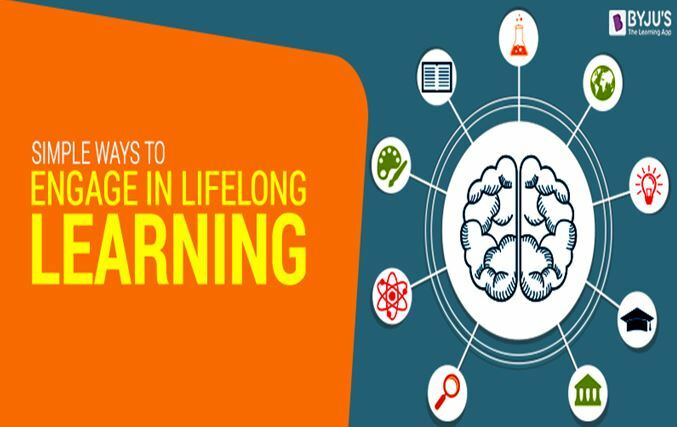 All these techniques can be valuable for students to involve themselves in lifelong learning. This helps them to grow and develop their potential altogether. Learn various Maths and Science concepts along with RS Aggarwal Class 9 solution at BYJU’S. Subscribe to our YouTube channel to watch engaging videos.